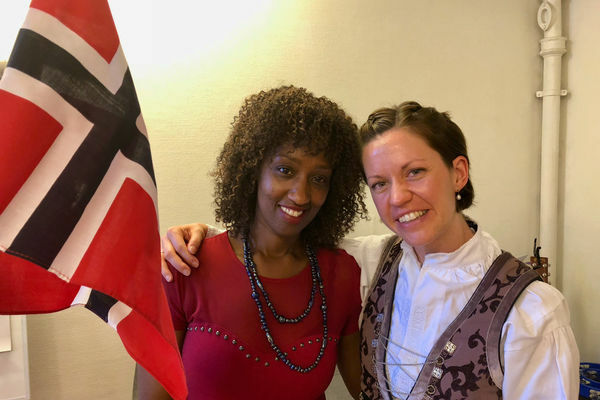 The celebration in Oslochurch tonight of the principles of Norway´s Constitution was led by Pastor Aina Torp, and was marked by joy and the seriousness of the challenge before us. We enjoyed cakes and fellowship. After singing the national anthem «Ja, vi elsker» and «God bless our dear Fatherland», we prayed for the country, and thereafter Pastor Jan-Aage gave a passionate lecture on the history behind the Constitution of May 17th, 1814, and he presented the principles of independence and of the separation of powers between the executive, legislative and judicial branches. There was a strong challenge to take the Constitution of the land seriously.